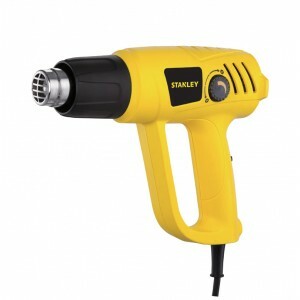 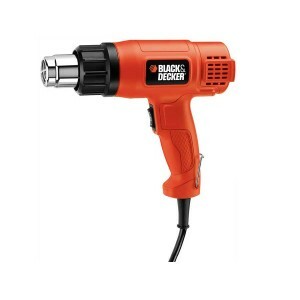 Stanley STXH1800 Hot air gun 1800wApplications/Uses: Shrink packing Paint stripping Drying/dehumidifying Peeling/striping floor coverage Features: Variable heat setting for material appropriate working and a large variety of applica..
Black Decker KX1800 Heat gun / Hot air gun Heatgun is an essential tool for decorating, ideal for paint and varnish stripping, lighting barbecues and thawing out frozen water pipes etc. 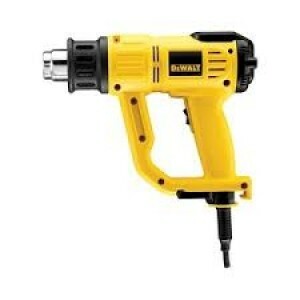 Dual temperature heat settings for a variety of a..
Dewalt D26414 Hot air gun with LCD DisplayFeatures : Heavy Duty 2000W Heat Gun with LCD Display High quality motor delivers longer life Variable temperature control with LCD display offers increments of 10°C Set and Forget temperature se..
Ferm HAM1016 Hot air gun Features: Ergonomic design for optimal working comfort 2 step airflow & temprature control Vertical stand support Extra long power cable, 3 m Specifications: Power input 2000 W Temprature setting -..
Stanley STXH2000 Hot air gun Applications/Uses: Shrink packing Paint stripping Drying/dehumidifying Peeling/striping floor coverage Features: Variable heat setting for material appropriate working and a large variety of ..
Bosch GHG 630 DCE Hot air gun with LED Display Features of GHG 630 DCE Professional 50°C cold setting Ergonomic design/softgrip The heat gun with the greatest ease of use Heating automatically switches off and cools when overheating, f..
Hitachi RH650V Heat GunLCD display for showing temperature and wind power settings.Continuous adjustable temperature and variable air flow for different applications.Constant Heat Control for continuous work without overheating.High stabil..
Bosch Heat Gun Welding NozzleDescription : Welding nozzle with opening for feeding plastic welding wire up to 4 mm in diameter. 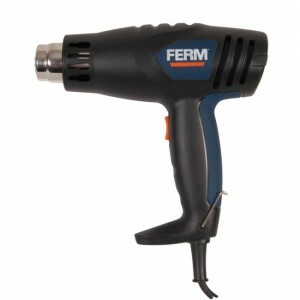 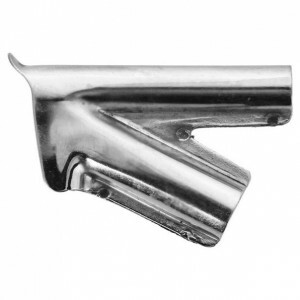 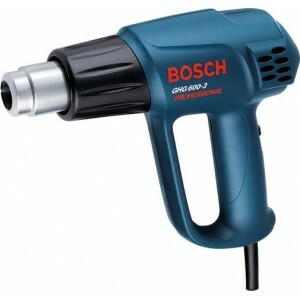 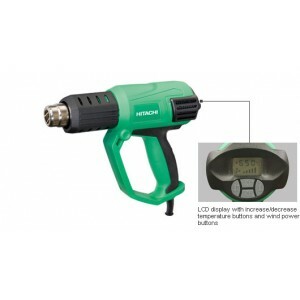 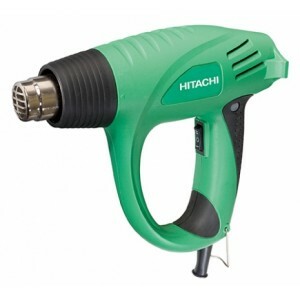 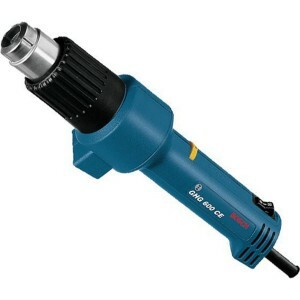 In conjunction with 9 mm diameter reduction nozzle..
Bosch GHG 600 CE Hot air gun with stright handle Features : GHG 600 CE Professional Surfaces for bench-mounted use without danger of falling over Comprehensive special accessories Also suitable for left-handersThe universal heat gun T..
Bosch GHG 600-3 Hot air gunDescription :Bosch power tools are designed to save energy, yet deliver highest levels of performance.It has won many awards at international level for its perfection and innovation in power tools and accessories segment. 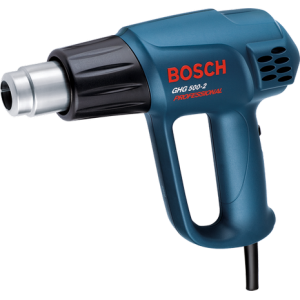 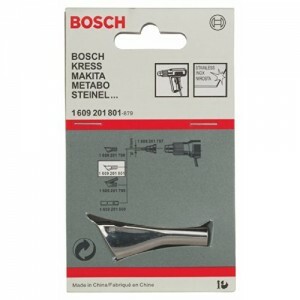 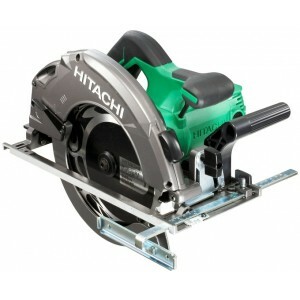 ..
Bosch Welding shoe for heat guns Welding shoe, with side channel for feeding plastic welding wire up to 5 mm in diameter. 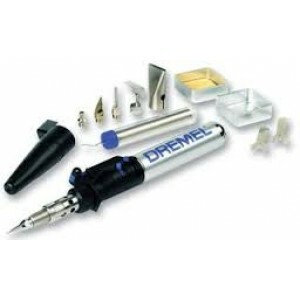 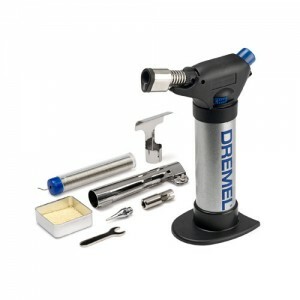 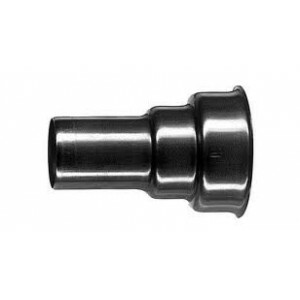 End Diameter : 10mmTo be used in conjunction with 9mm reduction nozzle (1609201797) Suitable for many heat gun model..
Dremel VersaTip 2000-6 Butane gas torch Hobby tool One tool for 6 different applications: soldering, melting, hot cutting, welding, shrinking and wood burning (Pyrography) Always ready to use Use anywhere anytime Allows for detailed ..
Dremel 2200-4 VersaFlame Butane Multi-tip tool Applications: The Dremel VersaFlame is the only stationary burner that safely combines open flame use with a catalyst and soldering head, making it the most versatile stationary burner in t..
Bosch Heat Gun Reduction Nozzle 20mm DiameterBosch Reducing Nozzle 20mm Diameter for Heat Guns Can be used as a round nozzle for a concentrated jet of hot air or as an adapter for special 20mm diameter nozzles. 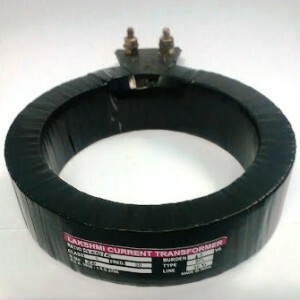 With half diameter for work in co..